There are still some genuine music lovers and dedicated artists in Paris, and my evening at Atelier von Nagel in the 11 th arrondissement was living proof of it. When I came out of the metro station, Rue des Boulets, and asked my way to 20 rue Bouvier, a nice lady with a stick, told me « we are going to the same place » ! A great start for an evening full of surprises, of which she is an habituée. My steps lead me to a modern uninteresting building, dedicated to workshops, and up we went to the 4th floor, following a small crowd of aficionados who have joined the « Les bois qui chantent » association. You have to belong to be invited, and then the concert is free. 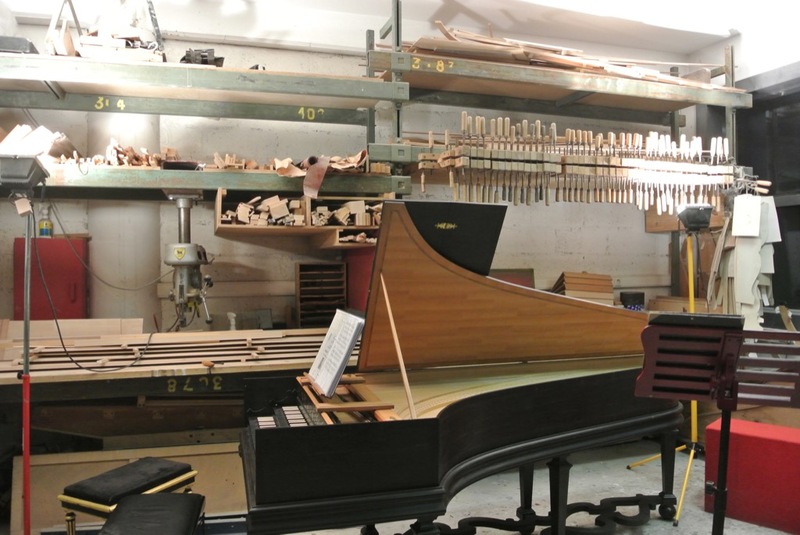 An American friend of mine, who collects harpsichords, had introduced me some years ago to Reinhard von Nagel, a German born Parisian, who manufactures them since 1971. It is upon meeting William Dowd, an American harpsichord lover from Harvard, who resurrected this old instrument on which Bach composed most of his “piano” pieces, that he decided to devote his life to this music. Which led him to sponsoring young harpsichordists and organize a few times a year, a recital in his atelier. The dates are irregular and musicians usually ask him to play because they like the intimate setting. William Christie, another American, was one of them in 1973. 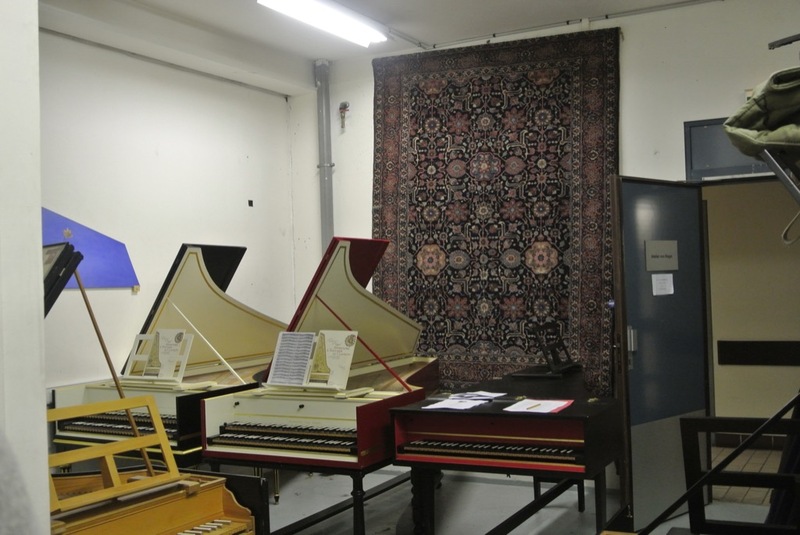 One of the rare harpsichord manufacturers in Paris, Von Nagel likes to encourage young artists. The name of the series is charming in itself : these concerts are called « Concert dans les copeaux », literally concert in wood shavings. 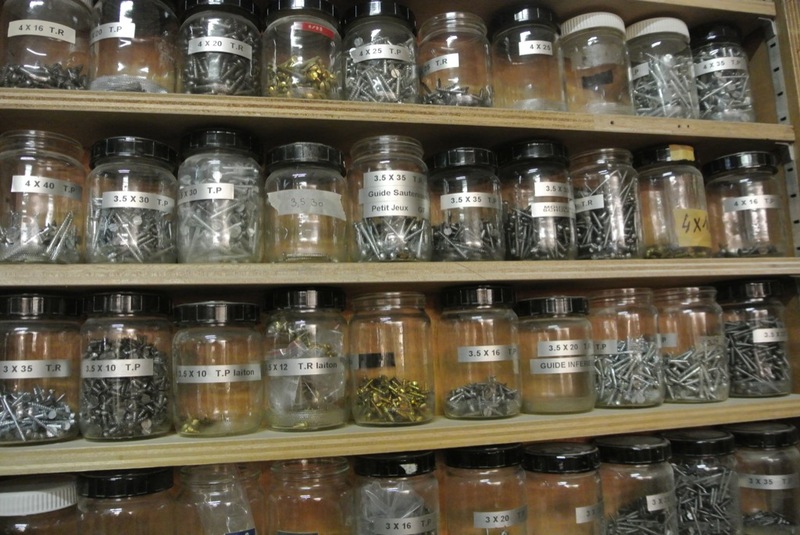 Well the shavings had been cleared, but my head was banging on shelves holding bottles full of nails of all sizes and all his beautiful wooden tools, were displayed behind the harpsichords. 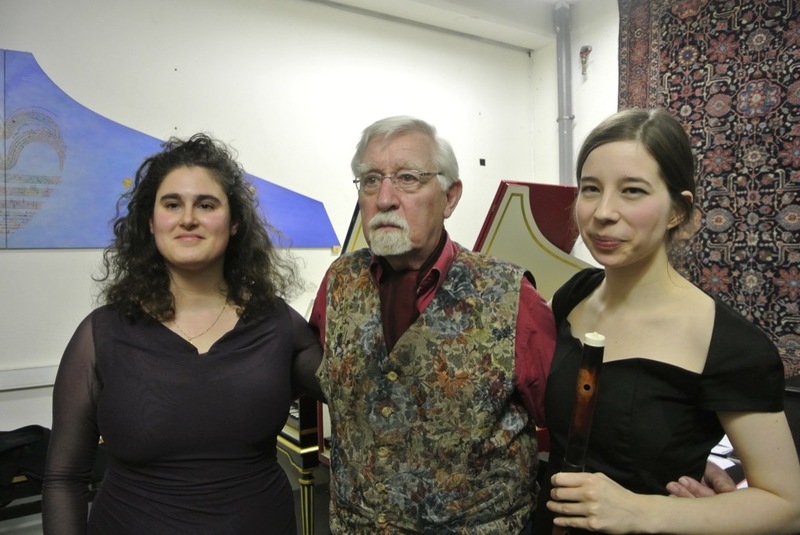 The great surprise was to hear in Bach, 23 year old and American Lilian Gordis, who had met her partner, traverse player Johanna Bartz in Schola Cantorum Basiliensis, in Basel and was playing with her for the first time in public. Quel bonheur d’ apprendre que cela existe. Parentheses tellement belles et civilisees au sein d’ un monde brutal. Quelle joie de découvrir grâce à toi cette magnifique initiative!!!! !